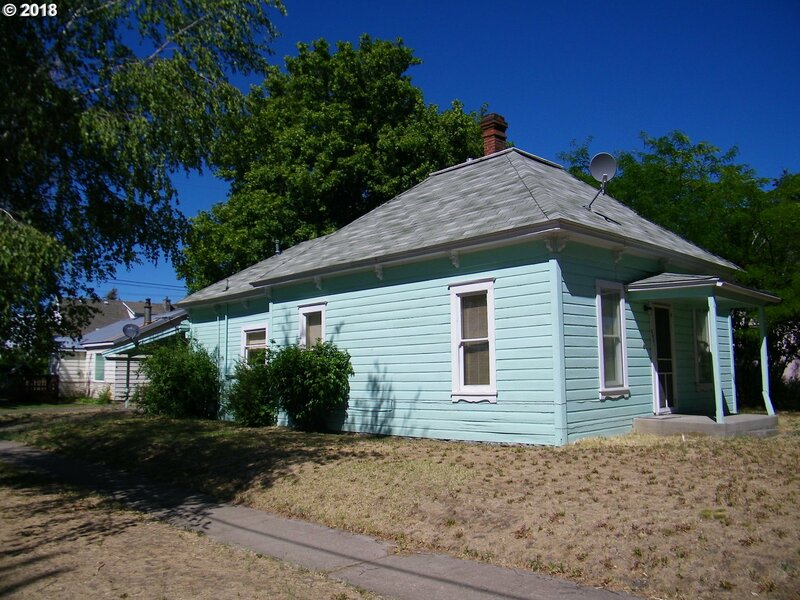 Vintage two bedroom cottage located on the corner across from the Veterans World War II Park, an attractive and well cared for site. Range, refrigerator, washer, dryer included. Country kitchen with cool one piece sink and dual drain boards, separate laundry room, two car carport, gas free standing stove, gas hot water heater, mature trees. Walking distance to a grocery store.